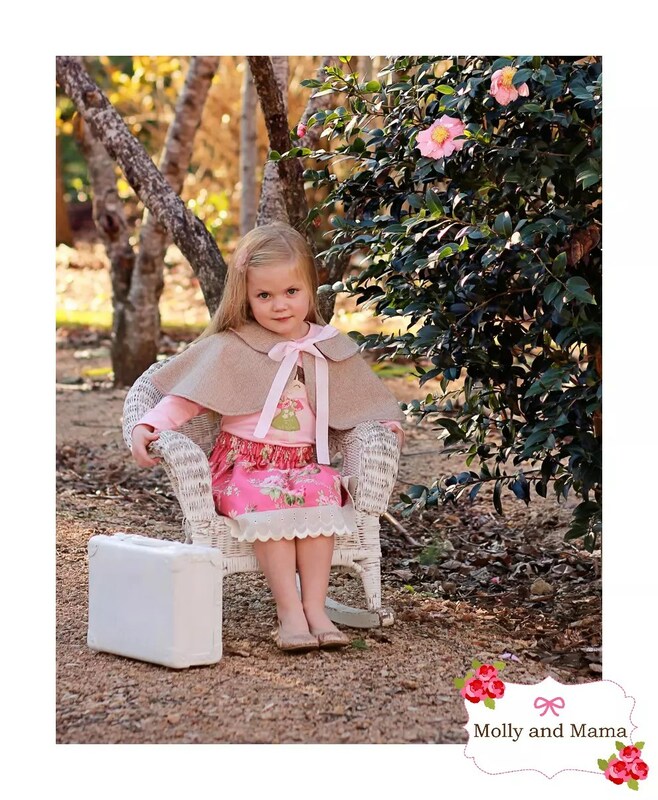 How adorable is this little model in her wool capelet? Seriously! It was made as part of the latest Molly and Mama Autumn collection. You can take a peek at the whole shoot (and all the pretty pieces) HERE. When I was putting together the collection, I spent lots of time looking for inspiration. Most of my ideas get pinned HERE so feel free to follow along if you’re a Pinterest lover like me! I knew that I wanted to make a cape or capelet but I had to find the perfect pattern. Etsy is always a treasure trove of inspiration and it’s where I found Cape Adeline Patterns. 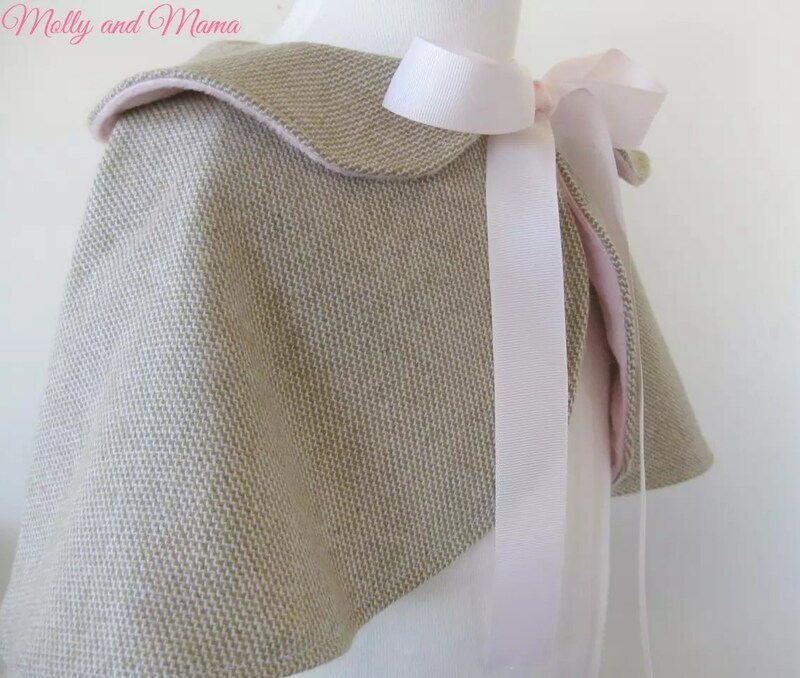 Kerri had a beautiful capelet pattern listed in her store; The Children’s Classic Peter Pan Cape. And I knew instantly that it was exactly what I had been searching for! Kerri is also creating stunning patterns at her new Etsy store Amelie and Henri Studio so make sure you pop over! After purchasing the PDF pattern and following the link to download, it was very simple to save and print the pattern pieces, to assemble them, and to trace the size I required. I decided to use 100% wool suiting for the outer shell of the capelet, and to line it with fluffly knit ‘minky’. Having not sewn the pattern before, I was a bit reluctant to cut straight into the wool. However I was reassured by the detail and multitude of photos in Kerri’s instructions so I jumped straight in! I followed all the instructions and made only one slight modification. Instead of adding a button, I added pale pink grosgrain ribbon ties instead. I’m a sucker for a big bow! 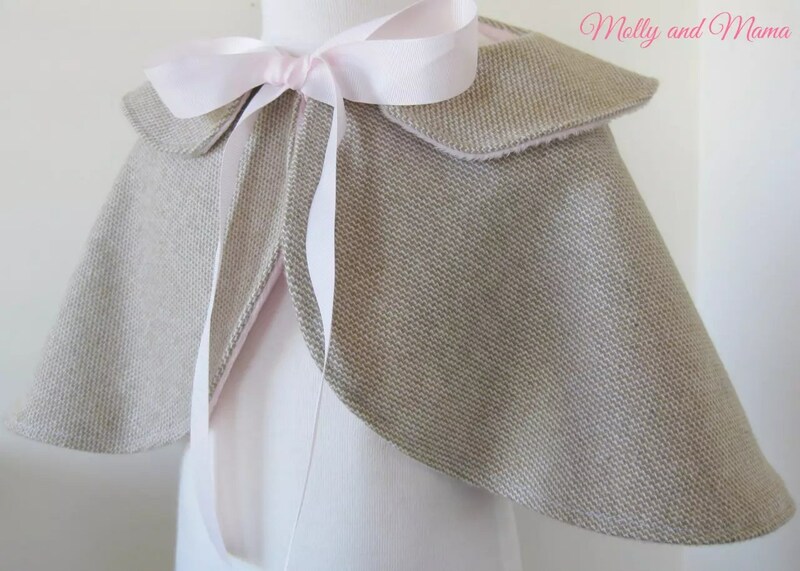 The cut of the cape is lovely. It drapes beautifully and would be well suited to other fabrics aswell. I was really pleased with how it turned out! Even more so when my favourite photographer (Mel from MiaMia Photography) captured this gorgeous image. So maybe a cape is not the most popular style of clothing these days. And maybe I’m a little old fashioned, but I really love these vintage-inspired patterns. I also love being able to team them with modern separates to give everything a fresh and up-to-date appeal. The Winter weather is setting in here. And it’s about time really. 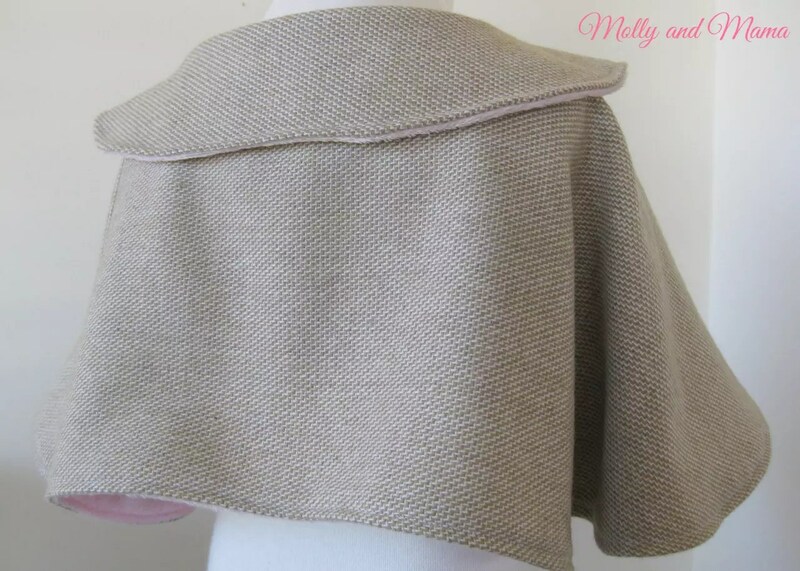 So I guess another capelet will be on the ‘to do’ list this week. I hope I get to it! 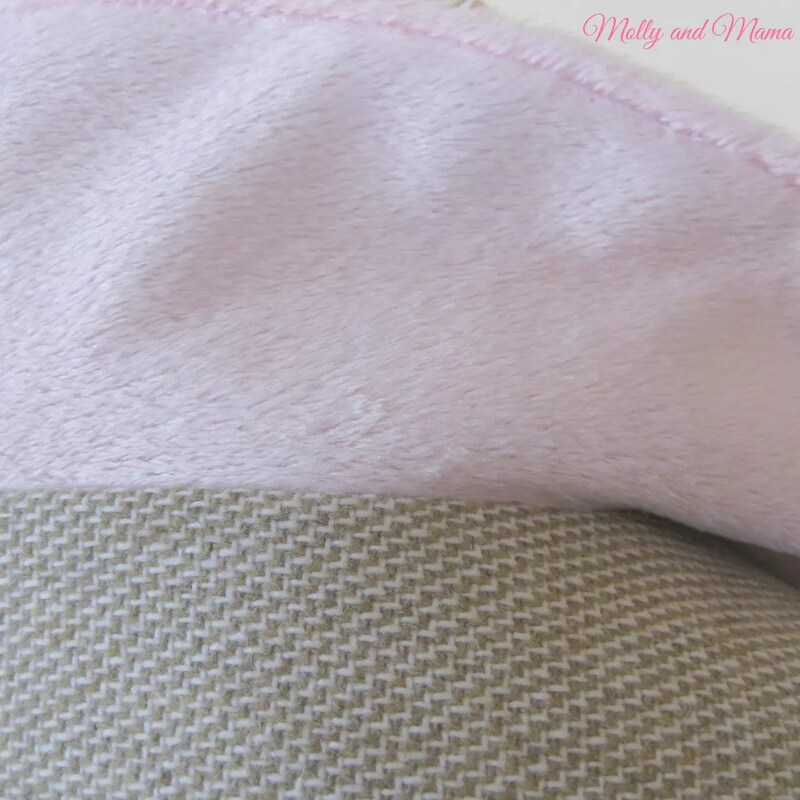 Make sure you pop by the Molly and Mama facebook page to see. It’s where I post all my current projects, sales and ideas.